There are more than 1100 businesses in the Australian Skip Bin Rental industry, according to the Skip Bin Rental – Australia Market Research Report. To stay competitive in the industry, many smaller firms are attempting to provide a cheap service that can separate them from the crowd. A small number of these operators illegally dump collected waste to keep prices down, with a common scam of dumping waste onto vacant land or a warehouse, leaving the landowner or council with the clean-up costs. Illegal dumping of waste can present significant risks to human health and the environment. Local councils across Victoria spend around $30 million every year cleaning up this abandoned waste, which also accounts for two-thirds of the Victorian EPA’s prosecutions every year, according to the information on the EPA website. To combat the issue, $6.3 million of state government funding has been invested in the Victorian EPA’s Illegal Dumping Strikeforce, which aims to create a level playing field for operators doing the right thing and reduce the environmental risk of illegal waste management. The strikeforce identifies partners in priority projects such as government, industry and community stakeholders to support interventions that encourage appropriate waste management. To enforce compliance, the EPA is able to issue fines and prosecute parties that are found dumping waste illegally, with drones to help surveillance and investigations. Chris Webb, from the EPA’s Illegal Dumping Strikeforce, has previously stated that there is a significant amount of waste being dumped in creeks, parks, rented buildings and on private land, with some of it containaing asbestos from construction and demolition sites around Melbourne. “EPA has targeted skip bin hire firms because the industry has attracted a number of operators who dump waste illegally, often in our forests or on private land, which allows them to outcompete genuine skip bin businesses by avoiding the fees for proper disposal and recycling of the loads,” Mr Webb said. According to the Victorian EPA, a significant percentage of the materials that are illegally dumped are able to be recycled but instead end up in a local creek or park. Some of the most commonly dumped materials are bitumen, asphalt, brick, concrete, glass and asbestos. Skip bin operators in Victoria are legally considered a transporter of waste – meaning they can be found guilty of an offence if material is not delivered to the appropriate facility. One way the EPA aims to reduce unscrupulous operators is to advise the public to ask for proof of disposal from skip bin operators and to report companies that can’t adequately respond to questions about where their waste is going. 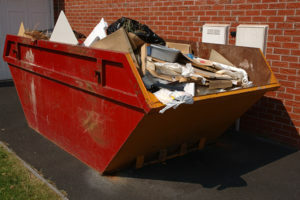 Mr Webb has also previously stated that fly-by-night skip bin hire firms specialise in dodging the cost of proper recycling and disposal by abandoning tonnes of waste wherever they can. “Illegal dumping contaminates the environment and is unfair competition for the honest skip bin businesses that pay the fees for proper disposal and recycling,” he said. To provide the EPA with the enhanced tools to deal with illegal dumping, the Victorian Parliament passed the Environment Protection Amendment Bill 2018, which gives the EPA the ability to issue tougher penalties for environmental offences from 1 July 2020. Additionally, the legislation allows the EPA to enforce a general preventative environmental duty requiring businesses and individuals conducting activities to take reasonable steps to minimise or eliminate risks to human health or the environment. 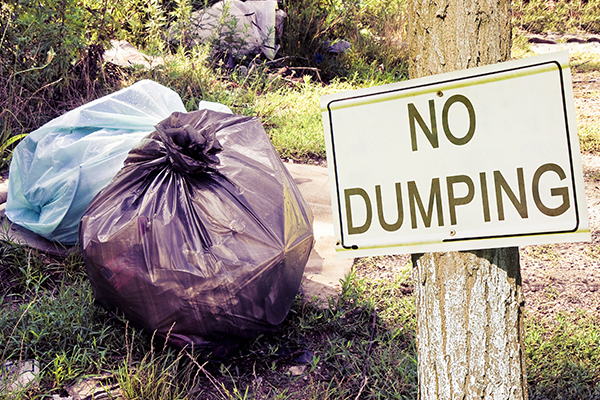 Corporations found conducting illegal dumping can face penalties of up to $1.6 million. The EPA identified growth areas of Melbourne, such as the Cities of Hume, Wyndham, Brimbank and Manningham, as hotspots for illegal dumping and is working with councils to tackle the issue where it occurs. Wyndham City trialled several litter abatement programs, with one successful approach being the Dumping is Damaging campaign. The campaign was designed to tackle growing illegally dumped waste in a target area of the suburb Tarneit. To get an idea of the scale of illegal dumping, a litter count found 29,520 kilograms of dumped waste collected by council litter crews. The council identified many people in the area were renters, who typically need to move to a new house more often than home owners. This meant there was a portion of the community that needed to dispose of furniture and appliances and weren’t aware of the services on offer for collection. In an attempt to reduce the amount of waste being dumped, a campaign was rolled out that called on the community to report illegal dumping and litter. Billboards, posters, newspaper articles and a letterbox drop of postcards targeted motorists, pedestrians, home owners and skip bin operators. Following the campaign, Wyndham City recorded a 93.5 per cent drop in illegally dumped household waste in the target area. Wyndham City’s Waste and Litter Strategy 2016-2040 was endorsed by council in 2016, setting a series of ambitious long-term targets including a goal of no incidents of illegal dumping by 2040. To achieve this, the council aims to increase the number of community litter reports by 25 per cent from the baseline by 2020. Richard Maugueret, Wyndham City Council Manager City Amenity and Safety, says the council has a proactive and reactive approach when it comes to addressing litter and illegal dumping involving a range of education and compliance activities. “Illegal dumping of construction and demolition waste by tipper trucks and dumping of residential waste are the main sources of illegal dumping in Wyndham,” he says. Other strategies employed by the council include the rapid removal or waste from council-controlled land and roadsides to counter the development of waste dumping grounds. Surveillance strategies are also involved to deter or catch offenders. Permits are also required for skip bins to be placed on a nature strip or on building sites in an attempt to regulate their use. Wyndham City has also introduced the Building a Cleaner Wyndham program to liaise with developers, builders and tradespeople to reduce the amount of litter found in and around building sites. The six-week program combines education, infrastructure and enforcement to ensure non-compliant sites are reported and potentially penalised. It also launched the Keep Wyndham Clean campaign, which encourages residents to report littering as well as promoting the council’s three free hard rubbish collections per year to ensure waste is being disposed of appropriately rather than illegally dumped. Communication and collaboration are key tools in the council’s strategy, with Wyndham City engaging two dedicated waste and litter education officers to provide education and raise awareness of the impacts of litter within the community as well as an embedded EPA Officer for the Protection of the Local Environment (OPLE). The OPLE program gives councils access to EPA capabilities in an effort to improve response time, enable faster identification and resolve smaller-scale local pollution and waste issues. Richard says Wyndham City Council and the local EPA officer work together by sharing information and intelligence to address illegal dumping in Wyndham. “Most councils in our region are proactively tackling illegal dumping and from time to time will meet with us to share intelligence,” he adds. To continue the fight against illegal dumping, the EPA’s Strikeforce has been granted $9.1 million over the next four years to continue targeted investigations, compliance activities, intelligence gathering and public information campaigns. The EPA encourages businesses and individuals in the waste industry that have witnessed or suspect illegal dumping to report it via their website or by calling 1300 372 842.